I'm sure you feel the same way I do and are shocked that Christmas is next week! This weekend is stocked full of activities - I'm sure the next week will fly by! Hope you have a good time!! 1. These decorated marshmallows from eighteen25 would make super cute teacher gifts with a nice hot chocolate mix. 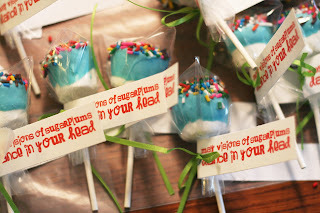 Or for classroom gifts for the little ones! 2. 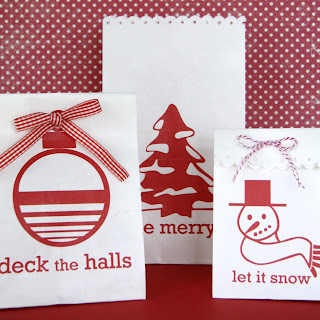 These printable gift bags from it is what it is are too cute! She gives detailed instructions including the type of bags to buy and has a free download. Perfect for last minute gifts! 3. 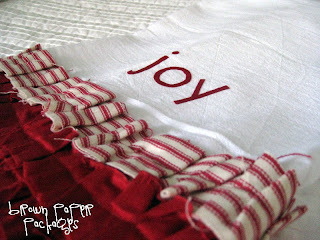 These beautiful ruffled dishtowels would make an awesome gift! Tutorial courtesy of Brown Paper Packages.